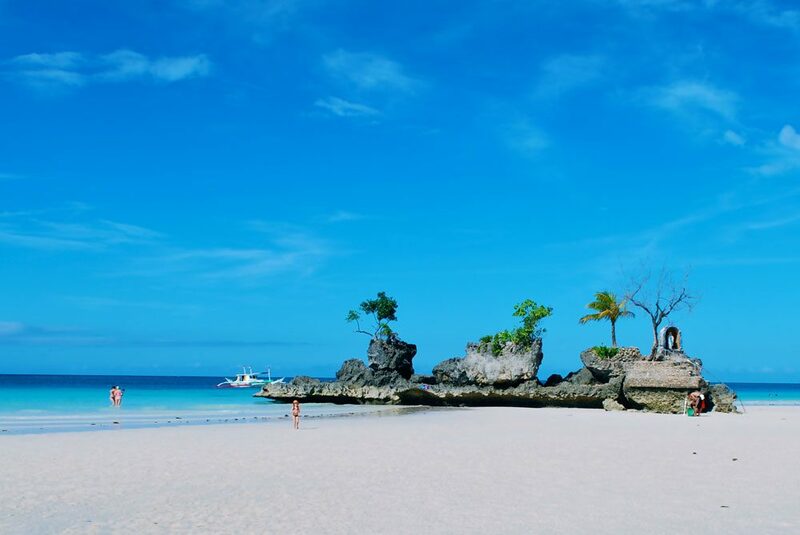 Famous for it’s incredible white beaches and picture perfect sunsets, Boracay will be a destination that you’ll absolutely love, or for many, absolutely hate. 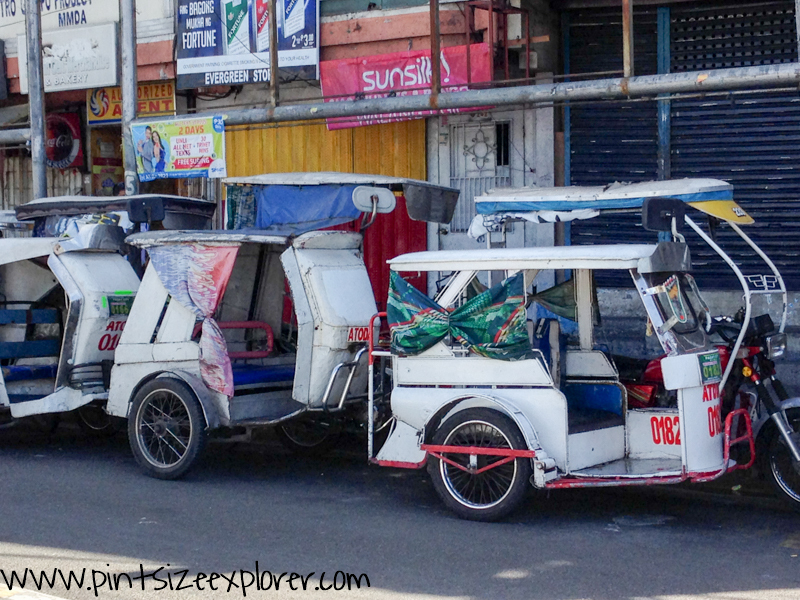 I travelled for three weeks within the Philippines and was keen to find out for myself what the fuss was about. Most visitors will find themselves staying on the Islands’ infamously stunning White Beach – a 4km stretch of powdery white sand, turquoise waters and shady palm trees. The gentle waters are perfect for swimming & snorkelling. There is a traffic free pedestrian path that runs adjacent to the beach. And you’ll find an abundance of shops, cafes and bars to keep you busy. Sounds great right? So what is everyone complaining about? 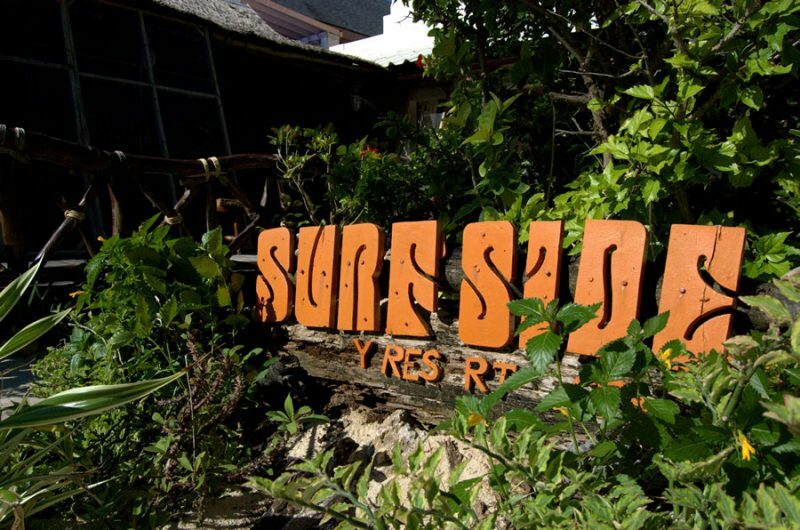 The island has been hit big time by tourism and is commonly know as the party island destination of the Philippines. With mega size high end resort style hotels (so big that most appeared to be empty), fast food joints (sadly both a McDonalds and a Starbucks can be found on the island) as well as an abundance of bars and clubs, it’s clear to see why so many people will argue that Boracay has lost its charm – ironically due to the islands own success. I am usually one to avoid party islands and overdeveloped destinations which have lost their native charisma, however there was something about Boracay that I couldn’t resist. Years of hearing about this hidden island tucked away in the middle of the Western Visayas region of the Philippines, and only accessible by a series of flights and boats – I just had to visit. I knew i’d kick myself I didn’t make it over there. Right, let’s move onto the basics and I’ll cover an overview on how to get there and where to stay. 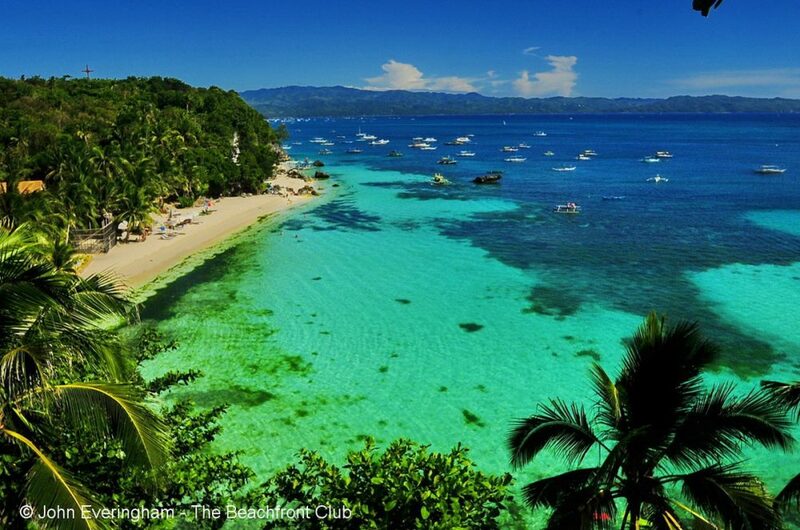 Click here to read – 9 things you should know about Boracay! First thing first – be prepared for the adventure of getting to the island! 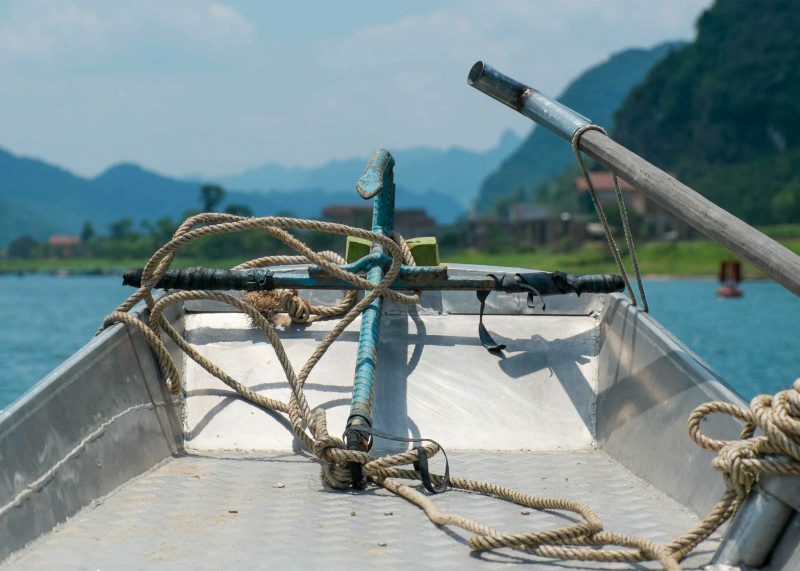 Depending where you are arriving from, you’ll need to take at least one internal flight, a bangka boat and a tricycle transfer to get to your final destination. The most common route taken by visitors is to fly in via Manila, where daily flights depart throughout the day from as early as 06:00. 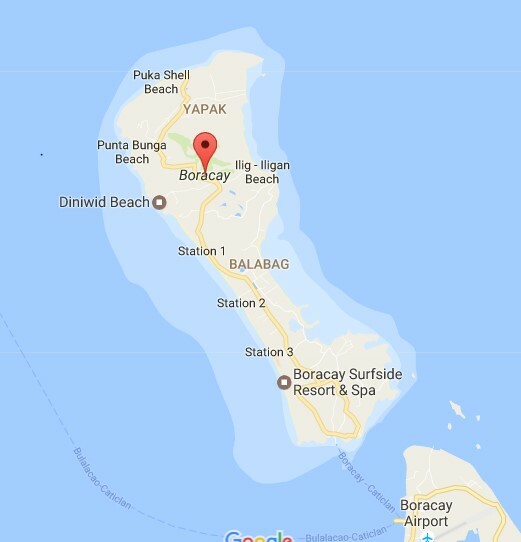 Boracay does not have an airport, so you’ll need to fly into one of the two neighbouring airports (Caticlan or Kalibo) on the island of Panay. 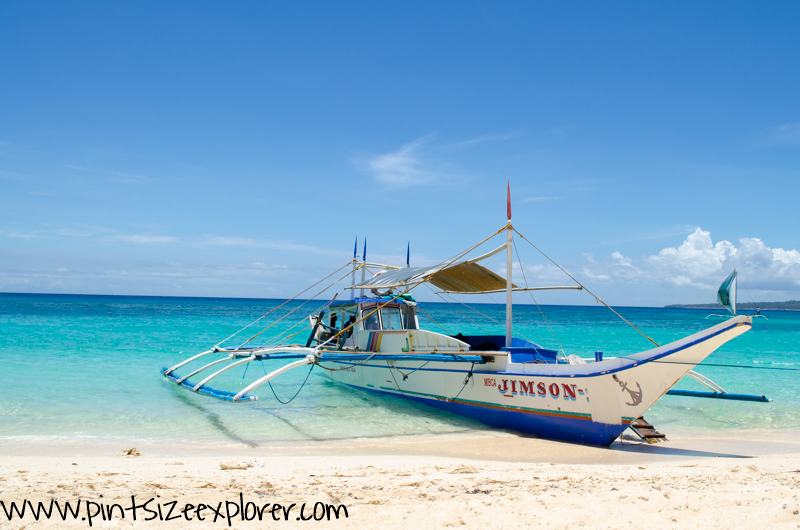 From Panay, you’ll need to travel by a bangka boat to the south of Boracay and then transfer via a tricycle or car to wherever you are staying on the island. Might sound like a palava, but it’s worth it, I promise! Caticlan airport is the most convenient option as the jetty port is a short 10-minute walk from the airport, or 2-minutes if you take a taxi or tricycle. Kalibo airport might be a cheaper option to fly into, but you’ll have a good 1 1/2 – 2 hour transfer to the ferry terminal to consider. 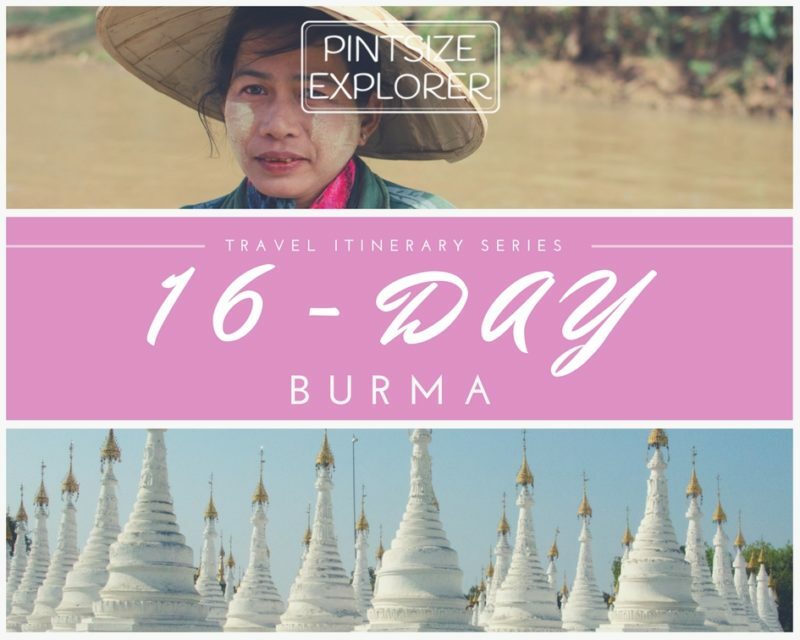 Costing 150 PHP with a journey time of 20 minutes, boats depart every 15 minutes between 05:00 – 18:00. Later transfers can be arrange but will be dependent upon how many passengers there are so check ahead. There is no need to pre-book boat tickets as you’ll easily be able to buy them at the jetty. The ticket office line moved swiftly and purchasing tickets was no hassle at all. 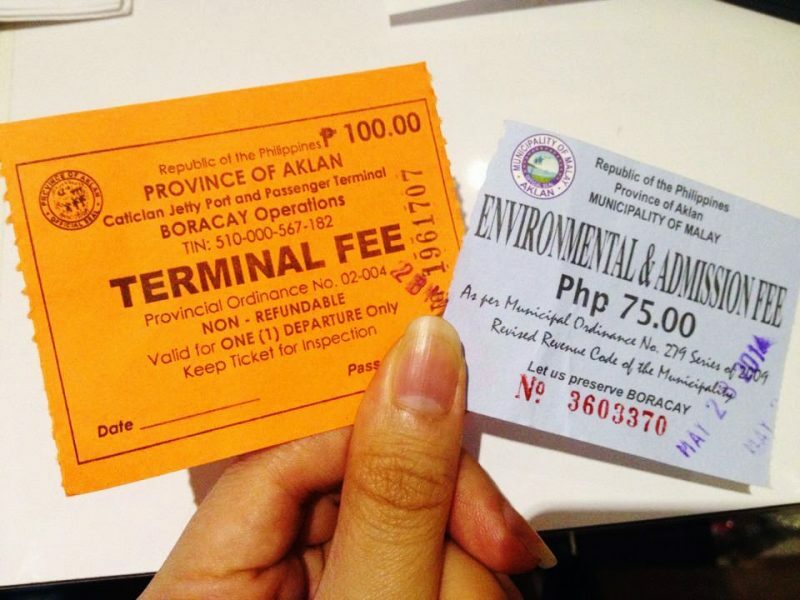 Worth noting that there are actually three different tickets you’ll need to purchase to enter Boracay – One ticket for an “Environmental Fee” (75 pesos), another ticket for the “Terminal Fee” (100 pesos), as well as a third ticket for the ferry of your choice. You might want to consider arranging a transfer via your accommodation for once you arrive into Boracay, esp. during high season where it often gets overcrowded. However there are both taxi’s and tricycles’s waiting at the docks regardless, so no problem if you haven’t pre-booked. Pre-booking will probably avoid being overcharged by zealous drivers looking to make a few extra bucks, but also check with your hotel as we were given complimentary transfers on our return. 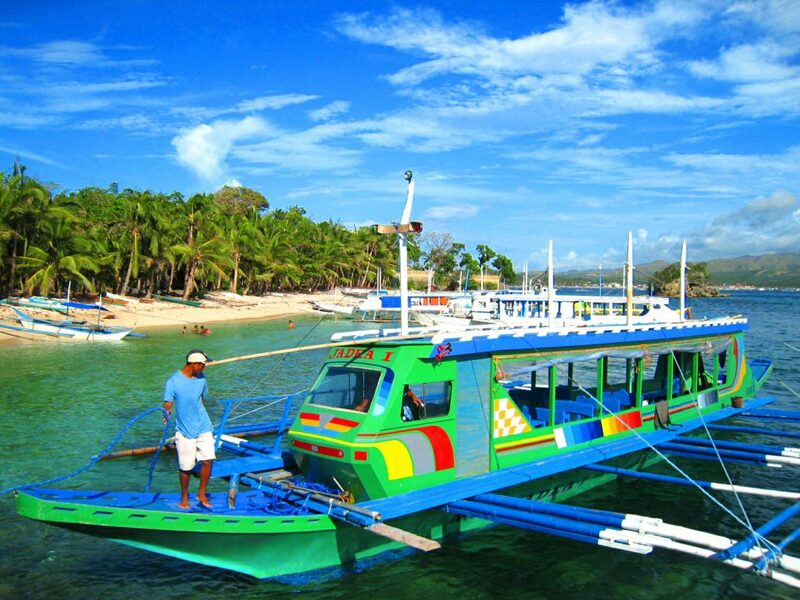 Three out-of-service boat stations, which were once the access point from Caticlan, run the length of White Beach which is situated on the west coast of the island. Now referred to boat stations one, two and three, you will find a very different style of island life between each boat station, so choose wisely! 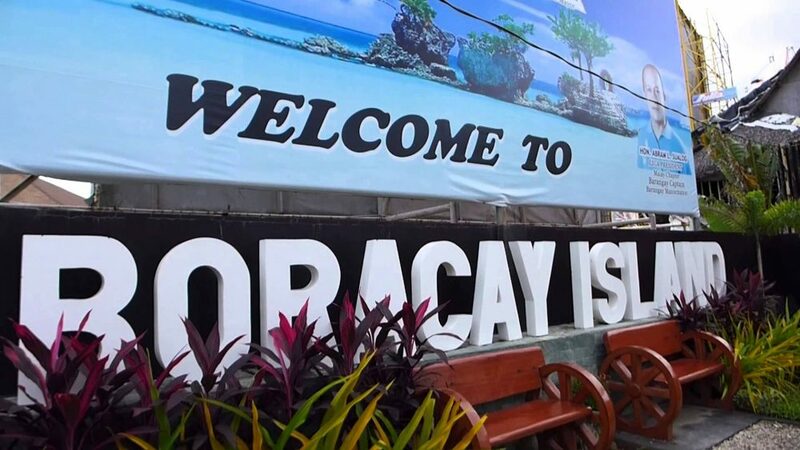 Read on below for a brief description of Boracay’s key areas to stay in. The stunning secluded beach is situated north of White Beach on the west coast. 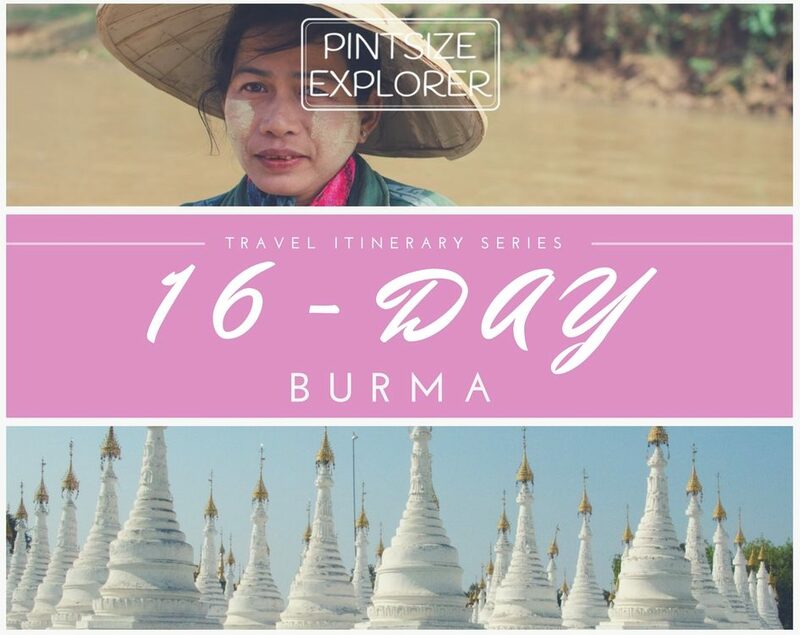 A much smaller beach with fewer hotel choices and a smattering of villa options set up in the hills, this is where you should stay if your budget can stretch so something special. It’s safe to say you’ll be away from all the island madness here in Diniwid Beach, an ideal spot to base yourself for peace and quiet whilst only being a 10 minute drive away from the action. At the north end of White Beach, boat station one is home to many high end luxury resorts and little more. The beach is pristine and also at it’s widest, making this an obvious choice for many to locate themselves. The footpath disappears along this stretch of the beach, so expect a good calf work out as you make your way to and from your hotel along the beach front. Here you’ll still be set away from all the action, but you’ll only be a short walk from boat station two (depending on which hotel you are staying at). Whilst the beach was incredible up here, the resorts looked a little bleak. During an emergency pee break, we wandered into one of the hotels and it seemed the majority of them appeared empty and lifeless with staff aimlessly wandering around. But we were out of season, so perhaps this differs during the busier periods. You’ll have to let me know! Party! Party! Party! 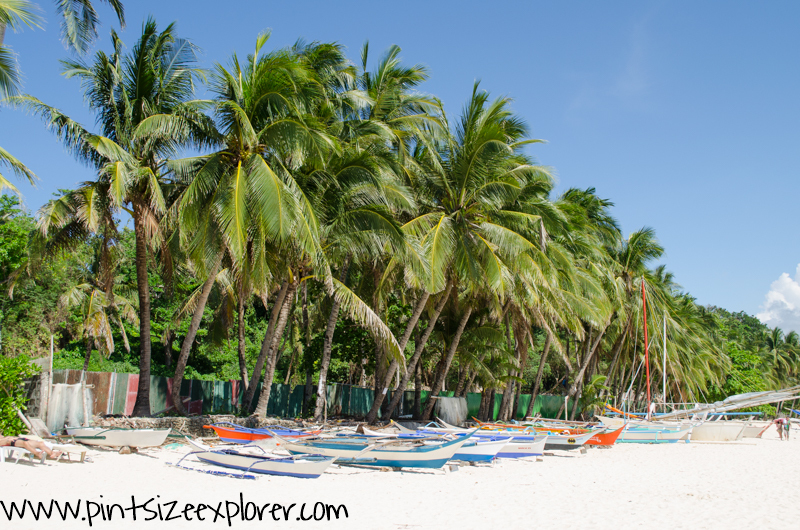 In the centre of White Beach, this is the busiest section of the beach by far, and the main hub of Boracay. The beach is packed with sunbathers, the streets are filled with vendors selling everything you don’t need, the beach front bars have a buzz of music to keep everyone in good spirits, and you’ll have an endless choice of entertainment at your fingertips. 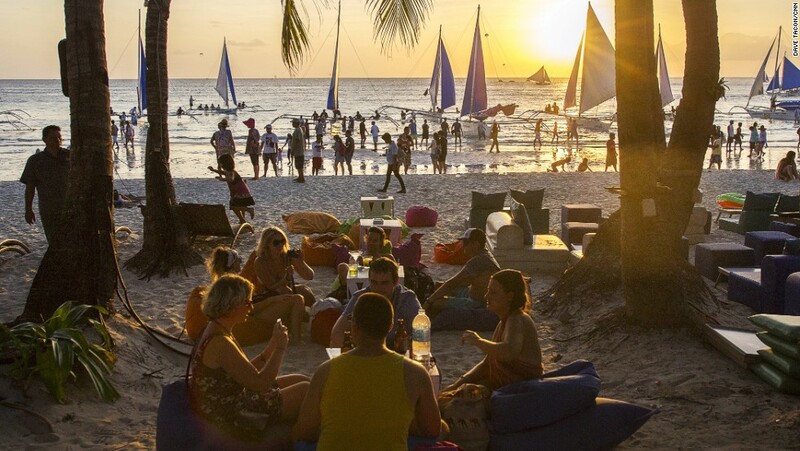 Be prepared, there is no escape from Boracay’s success here – this is the heart of the island and it can be full on! Towards the south of White Beach you’ll find boat station three, another beautiful stretch of beach with many hotels, bars and restaurants – but with a much more calm feel than the other boat stations. Here you’ll find plenty of budget and native style accommodation options, however there are a few upscale hotels being built to take advantage of the more relaxed vibe. Far from isolated and with plenty to do here, this is the spot to base yourselves if you want to be close enough to the action without being in the thick of it. To the south of White Beach, Angol is as close as you’ll get to experiencing what old school Boracay once was. 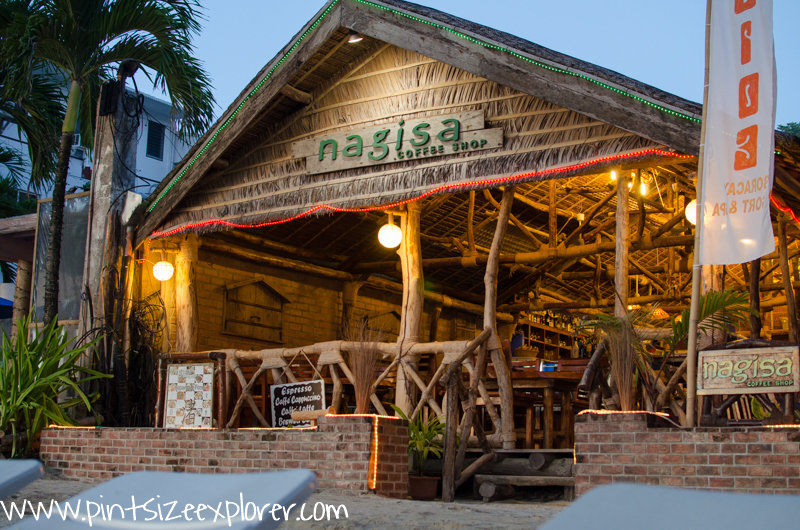 The chilled out, relaxed backpacker vibe is everything you’d hope Boracay to be. The beach was pleasantly quiet in this area despite the number of hotels and guesthouses around. Here you will generally find the cheapest of accommodations, but also a few mid-range hotel options too. This is undoubtedly the most relaxed and less developed end of the island with beaches almost empty and not a sign of any party life anywhere. Staying further out usually means you are a little isolated, but this wasn’t the case with Angol. 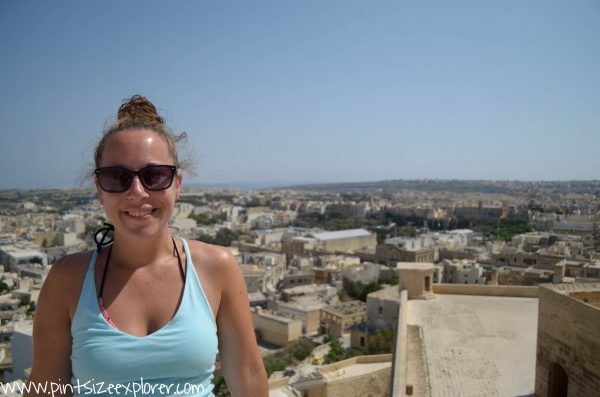 We chose to stay in this area to ensure we were away from the crazy party life and general tourist trap that the centre of the island has become. It was a good 20-minute walk up to the centre of boat station two, but for us, this was perfect compromise. 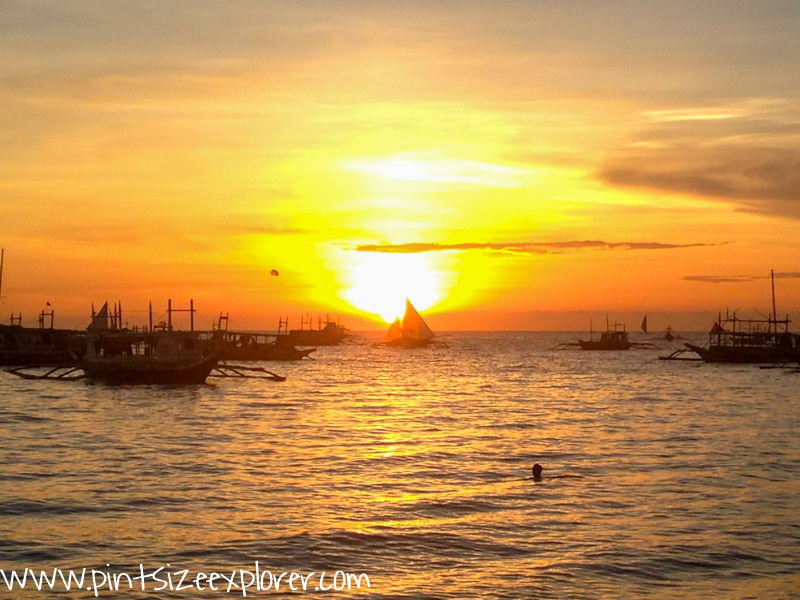 Check out my other blog post on Borocay – 9 things you should know about Boracay! We stayed at the Surfside Resort and Spa, which was a lovely beachfront hotel with great service and just a 5-minute walk from Boat Station Three. The hotel had 16 mod con rooms, Cafe Nagisa, a delightful restaurant serving Japanese and local cuisine, the Yasuragi Spa offering incredible massages, an onsite dive shop and there were also bicycles available to rent. 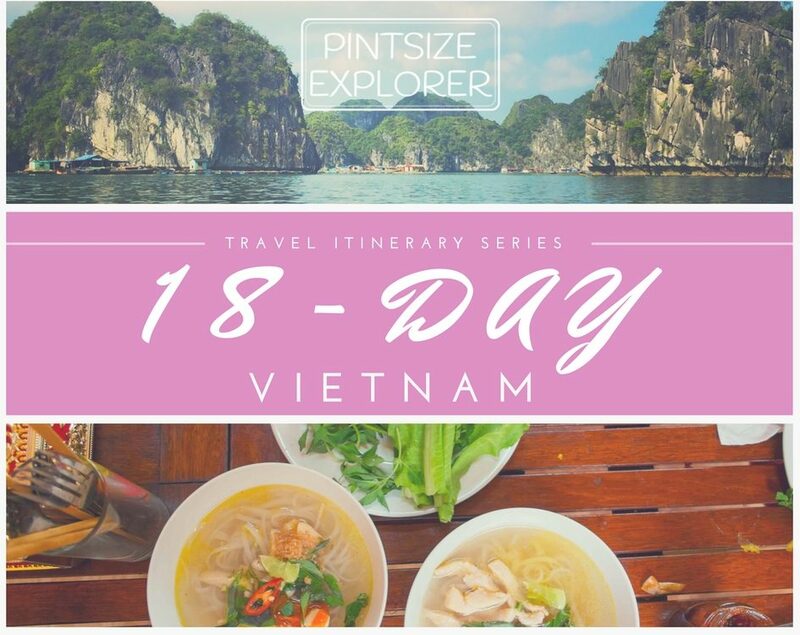 If you are staying along White Beach, then you won’t ever need to venture far for a good meal or somewhere to have a cocktail, as there are copious amounts of dining and drinking options that are suitable for everyone, at any budget. 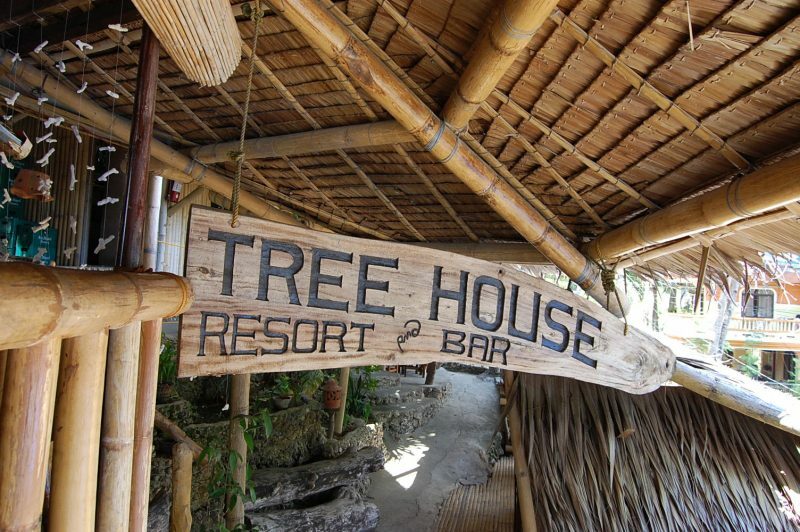 We stumbled across The Tree House (in Angol) which turned out to be one of my favourite places on the island. 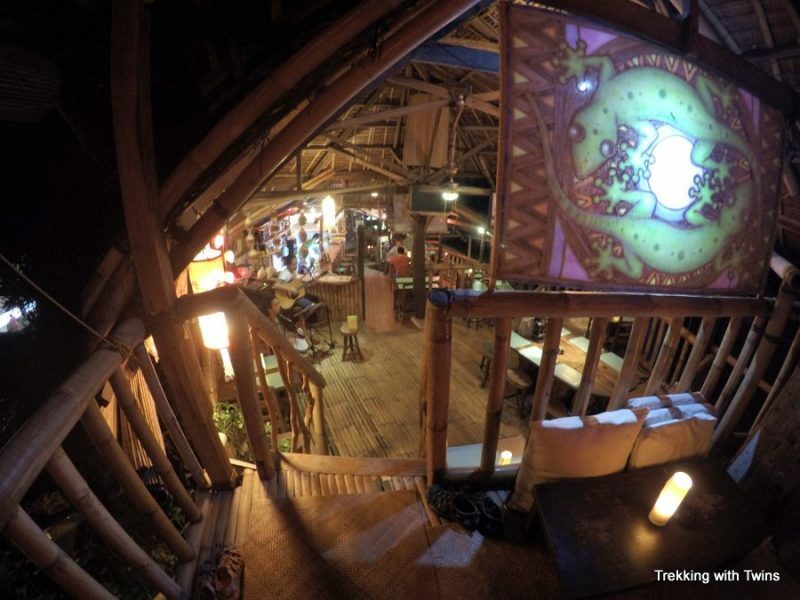 Built literally within the trees on a multitude of split levels, this restaurant offered good value food, had an authentic rustic and chilled vibe to it, and often had live reggae music played by some locals. To me, this is what island life is about! 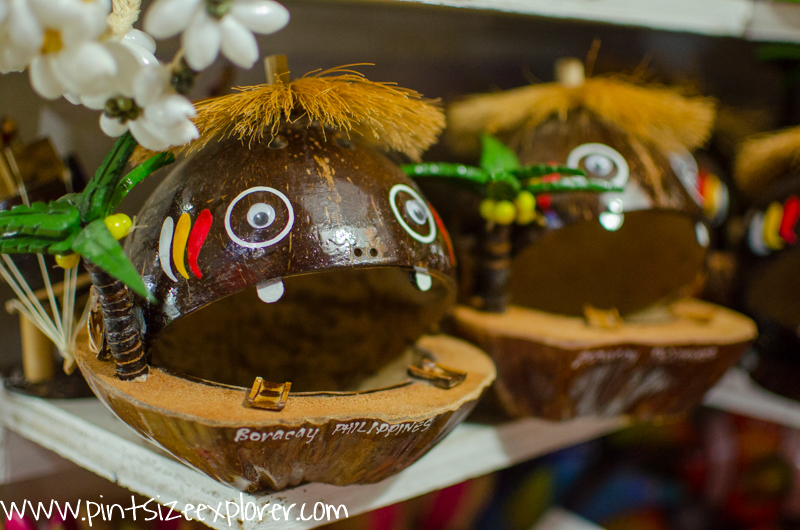 Another place we stumbled across was Nigi Nigi Nu Noo’s – yes, that’s what it’s really called! The bar, which also served food and had a collection of basic guestrooms out back, was always heaving with guests. We had quite a few random visits here, and was a great place to start your evening at. 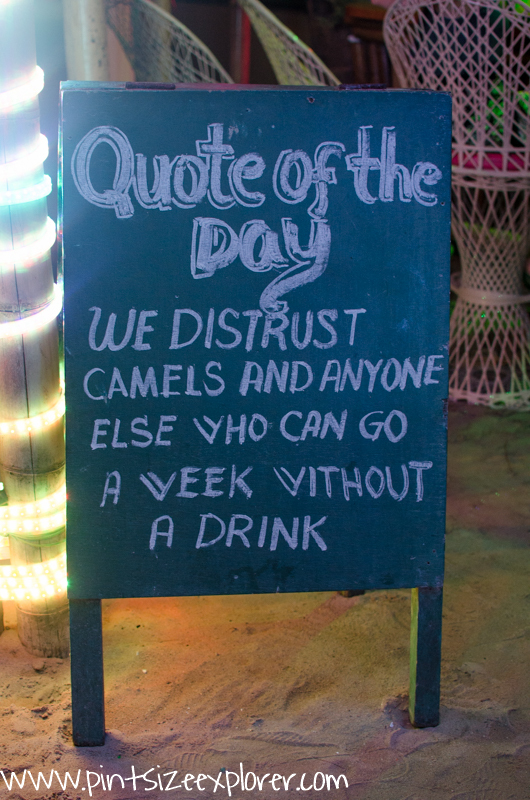 Keep an eye out for their comical quote of the day chalk boards out front! 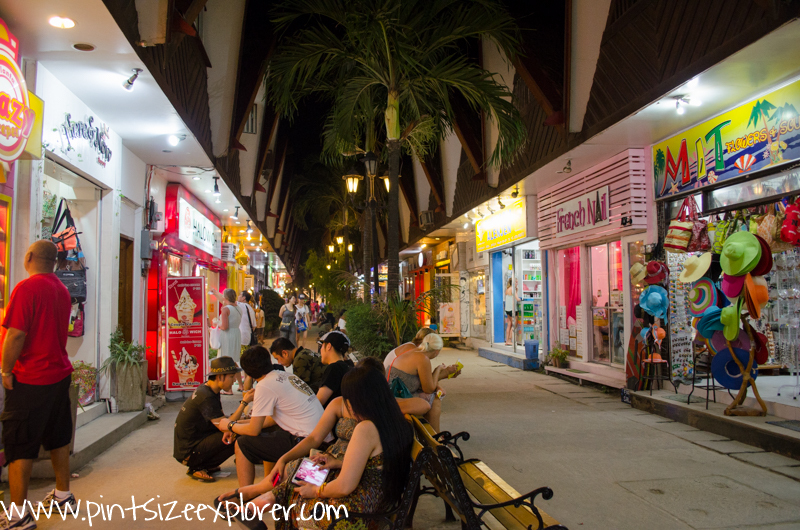 A mere 20-minute stroll along the sandy pedestrian footpath and you’ll reach D’Mall (in the centre of Boat Station Two), a collection of 100+ small restaurants, bars, shops, and vendors – the life and soul of the island! Here there was endless choices of everything the island has to offer. For me this was the least appealing part of the island. I don’t want to be eating western food in Asia, and I most certainly don’t want to see a Starbucks, McDonalds or Subway – we are on a remote island for heaven sake! 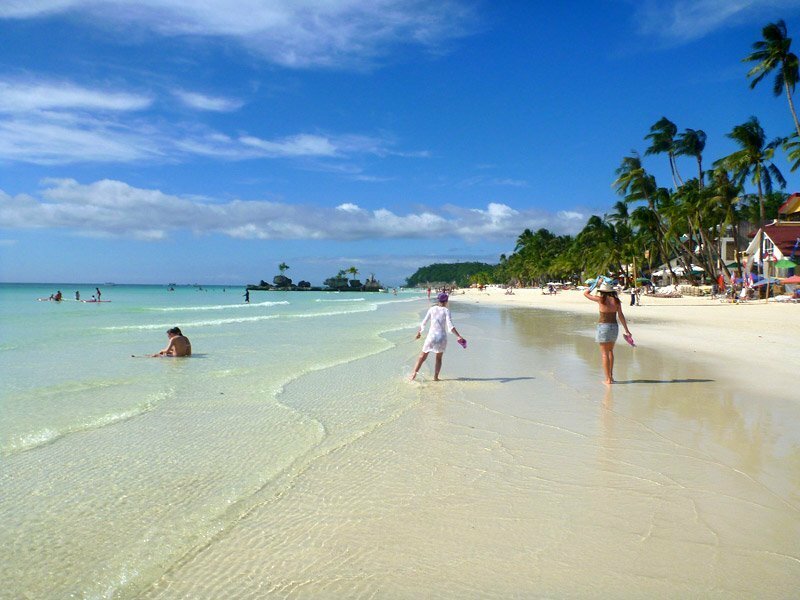 It’s difficult to sum up Boracay in just a few words, as the island does have something to offer everyone. If you are looking for an island stop where you can either relax or be kept busy with a number of activities during the day, but also somewhere with a good nightlife – then jackpot, this is the island for you! Anyone seeking a more remote and desolate get away, somewhere that has yet to be destroyed by tourism may want to reconsider. 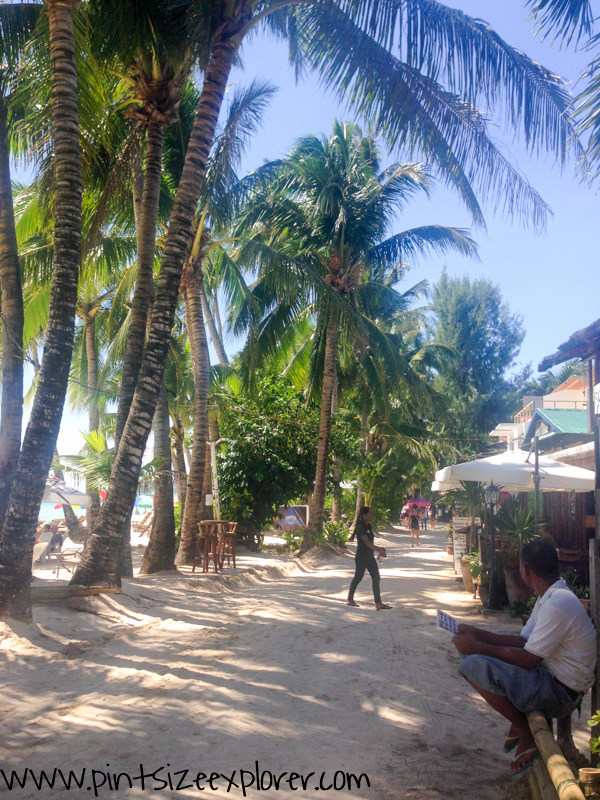 I’m glad I visited when I did as I can only imagine over the years Boracay will eventually lose it’s charm altogether.